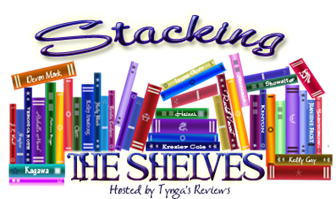 Letterbox Love & Stacking the Shelves are weekly memes to share the books you've received this week. Hello! 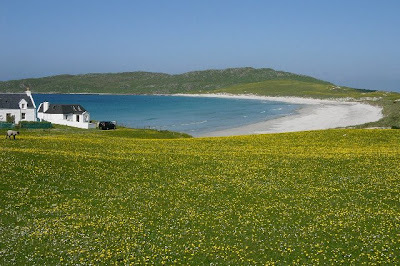 I've just in the last hour got back from a week of family holiday on the lovely island of Tiree, off the west coast of Scotland. It was great, so good to be back there, and for a lot of the time we had great weather, too! So now, time to get caught up on the books I've got in the past two weeks. Since my last post, I've only had ebooks, but there were some good ones! 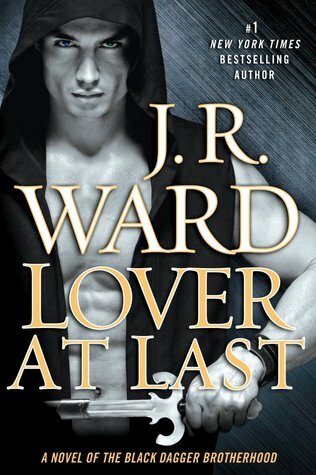 Lover At Last, by J. R. Ward #11 in the Black Dagger Brotherhood series. (Goodreads description here.) I really like this series, and in this book we finally see Blay & Qhuinn get their happily-ever-after. I've been looking forward to their story for a long time, but just couldn't justify buying another fat hardcover when it came out while I was in America. Now I'm home, I noticed it was about the price of a normal paperback if you got the ebook version, so this was my treat for myself on holiday, and true to form, I loved it. I'll do a 'Thoughts On Books' post about this one soon. 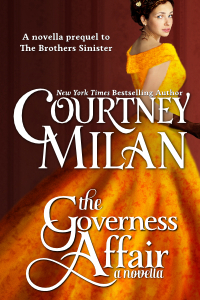 The Governess Affair, by Courtney Milan. (Goodreads description here.) I don't really know much about this one, but it's the first/prequel to one of Courtney Milan's historical romance series', and I've heard many reccomendations for her books, so I thought I would give it a try. Elite, by Rachel Van Dyken (Description) I saw this on Netgalley, and thought it sounded interesting summer reading. Hopefully getting to it later this week, and I'll review soon. Thanks, Grand Central Publishing! So what books did you get this week? I'll be reading a lot of books and sitting on lovely beaches like the one in the photo :) So look out for my next post next weekend with the 'Letterbox Love' collection for this week & next. Although I'd hoped to see more of the Changelings in this book, I'm still very pleased to hear this. I'm also a little disappointed (and I know I'm definitely not the only one) that his partner is a new female, and not a certain Arrow, but Nalini had said previously that she never intended them to be like that. 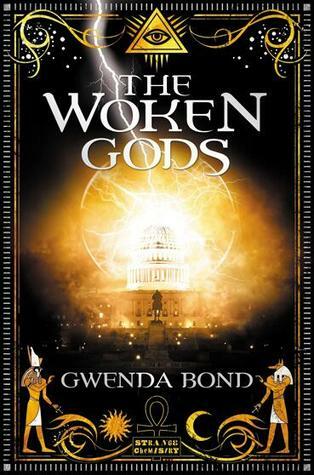 I think given the events of Heart Of Obsidian, it makes sense to have a Psy narrator for this book, as the situation with the Net and Silence is going to be very interesting now, and I don't know if we would have been able to see the full effect of that from a DarkRiver or SnowDancer point of view. I love that we're going to find out more about the Arrows now, too, and I expect that Judd Lauren will make an appearance at some point. I'm very excited to get to know more about Vasic. All the snippets we've had about him so far in the series have made him seem like a very interesting, complex character. He has his loyalty to the Arrows, and protecting the people in the net. I'm really looking forward to seeing his full reaction to what Kaleb showed him at the end of Heart Of Obsidian, and how that affects him (I don't see how it couldn't cause some ripples). I really am happy to get to know more about such an intriguing character, and I can't wait till we get some more information about the heroine, and any other hints and snippets about this book. How about you? What did you think about having Vasic as the next hero in the Psy/Changeling series? I can't believe it's been a whole week already! I did read two fun books this week, and recieved a third from NetGalley which I'll be reading soon. 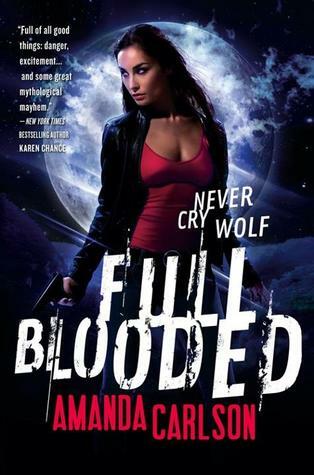 That one was 'Full Blooded' by Amanda Carlson, which apparently came out last year, but it sounds interesting: a werewolf who isn't quite normal for the species. Full description on Goodreads. It's 'Independent Bookseller Week'! This is intended to be a celebration of, you guessed it, independent bookstores. You can learn more about it here, at the website. For those who don't know, I go to university in Edinburgh, a city full of little bookshops. Some of them are exclusively second hand, some of the second-hand ones are part of a charity shop, but almost all of them have staff who are happy to help you look for things, and will order something in if you want it. I thought to celebrate the week, I would do a little post about three of my favourites. 1) Transreal Fiction, Candlemaker Row, Edinburgh. This lovely sci-fi/fantasy bookshop is usually my first stop when I'm looking for my next fantasy fix. They have a great range of titles and often carry the American editions if a book isn't available in the UK yet. I love browsing the 'new releases' shelf to find new-to-me books and authors, and they also have quite a selection of anthologies. Website. 2) Pulp Fiction Books, Bread Street, Edinburgh. This one is kind of cool, because it's where I meet my writer's group, and I've seen it evolve from a brand new store to its current state: a little cafe counter on one side with great cake, and tables in the middle, surrounded by books. The owner has tried to make it a place for writer's to gather, and they run writing-related events regularly. Website. I used to walk past this shop every day on my way to class in 1st year at uni, and I still love to go in for a look around. They squeeze a lot of genres in to the little second hand bookshop, with stacked children's books just inside the door, and a table in the middle with old movie posters. If you go in to the back room, there's a little wood-burning stove, and you can warm your hands up on a rainy day while you look at the books. Website. Do you have favourite independent booksellers in your town? I'd love to hear about them. I'm going to start doing a new thing here, which for now will creatively be called 'Thoughts on Books'. These are going to be my thoughts on a book which I want to talk about but not write a review for - usually these will be later books in a series that I love. They're going to be a little of a discussion post, and they will contain spoilers for those books. Sometimes I read something which I want to excitedly discuss. I want to talk about how I'm so glad X finally happened, or that I can't believe Y did that, or how I guessed that Z was going to happen. These are fun things to talk about with a new book, but I don't always feel like they can fit in to the sort of information that I like to get across in a review. So I'll be kicking things off later today or sometime tomorrow with talking about Heart of Obsidian, the new book in the psy/changeling series from Nalini Singh. I may or may not do one for the latest Dark Angels book from Keri Arthur which I'm reading just now, but I'm fairly sure that when Magic Rises by Ilona Andrews comes out at the end of July, it'll end up in a Thoughts on Books post. So that's a little taste of what's to come. It's not going to be a regular feature, just as and when I have a book that fits in with it. I hope you enjoy reading these new posts! Gareth St. Clair is in a bind. His father, who detests him, is determined to beggar the St. Clair estates and ruin his inheritance. Gareth's sole bequest is an old family diary, which may or may not contain the secrets of his past... and the key to his future. The problem is—it's written in Italian, of which Gareth speaks not a word. My thoughts: I've been on a bit of a historical romance kick the past few months, and had heard Julia Quinn talked about by a lot of people as one of the must-read authors of the genre. Although it's the 7th in the series, this is only the 3rd I've read - I don't think it's made much difference taking them out of order, as each so far has stood on its own very well. Hyacinth is the youngest of 8 children, almost all of whom are happily married by this point. But now it's her turn to look for a husband, her intelligence & outspoken manner, which have always been part of her character, are a little off putting to some men. However, every week she reads for Gareth's grandmother, the fierce Lady Danbury, and she's there when Gareth turns up to ask Lady Danbury about where he might be able to get the diary translated. Despite the fact they don't always get on smoothly, Hyacinth agrees to translate the diary, and soon gets caught up in the story she's discovering there. Together, she and Gareth are then launched on an adventure of trying to follow the clues in the diary to find some valuable jewellery hidden in Gareth's family home. I love the interactions between Gareth and Hyacinth, and what they think about each other when they aren't together. Of course it's clear from the begining that they're going to end up together, but what I like about historical romance is seeing the journey unfold and watching the characters figure it out themselves. Hyacinth is very feisty, and it was fun to see her finding her place as a grown woman, not just the youngest sister of so many other people. Gareth has been affected so much by his angry, unhappy father - I was very glad when he finally stood up to the man, and that things worked out well in the end. 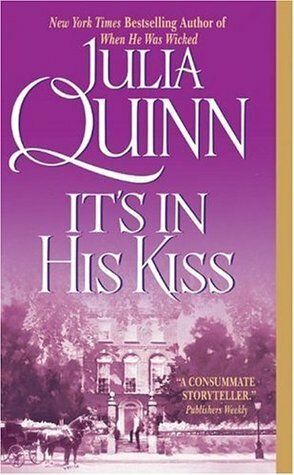 Although I'm fairly new to her work, this book helped cement Julia Quinn in my mind as an author who I think I'll always enjoy. 'It's In His Kiss' is a fun historical romance adventure in London, complete with society events, scheming mothers, and town gossip. It was a lot of fun to read. I give this book 7 stars. 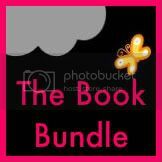 The Book Bundle is a review blog run by Ailsa, a Sales & Marketing Assistant at a small publishing company, and Emily Cross, an Irish PhD student. We review a wide variety of books, but lean towards fantasy, YA, UF, and romance. Check out the latest reviews to see what we're loving at the moment! Sometimes we receive free books from publishers - we will always say when this happens, and reviews are our honest opinions. We are happy to review any genre of books - get in touch and we can chat.